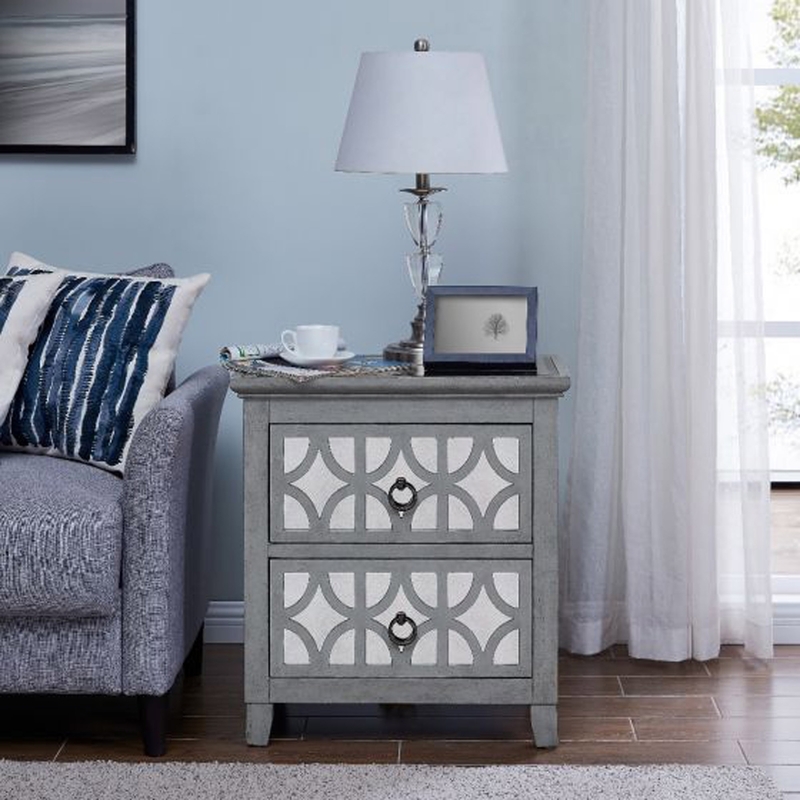 A Gorgeous Russell 2 Drawer End Table. This mirror is a beautiful design from our Russell Furniture. Elegant, solid looking bedside featuring a patterned imprint on the drawers, ensuring this range will suit any furniture decor. Sure to impress across generations. This stunning bedside cabinet will brighten up your bedroom in an instant.